The other day I told you why priorities are important, and then on Friday, I shared my priorities with you. Today I'll show you how I'm using my priorities to define my days. One day, a professor walked into class carrying a large glass jar. He proceeded to fill the jar with rocks. When it was full, he looked at his students and asked if the jar was full. When they said that yes, it was indeed full, the professor reached under his desk and brought out a bag of small pebbles, which he poured into the jar, shaking it lightly. The pebbles, of course, rolled down into the spaces left by the larger rocks. He asked again if the jar was full, to which his students responded that yes, the jar was indeed full. 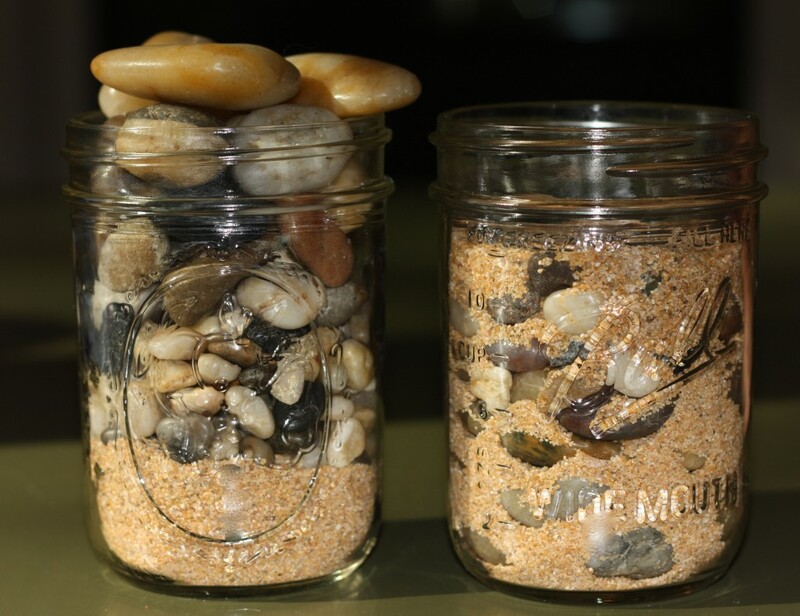 Next the professor brought out a bag of sand, which he poured into the jar, shaking gently, causing the sand to fill the spaces between the pebbles. Sometimes the story ends there, sometimes the professor pours water or coffee into the jar, proving once again that, even though the jar was full, there was room to add more. 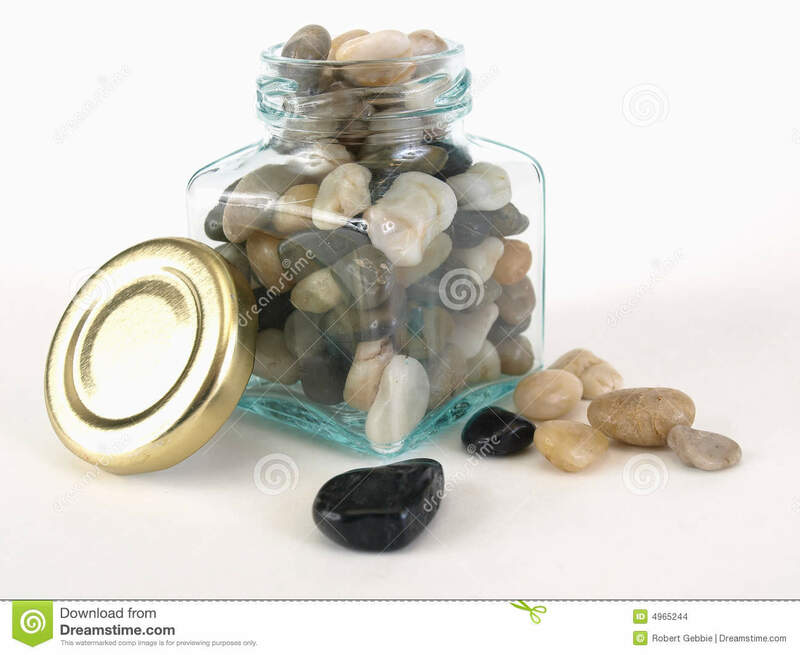 If the professor had added the sand first, then the pebbles and rocks, they would not all have fit, but because he added the larger rocks first, then let the pebbles and sand fill in the gaps, everything fit into the jar. All right, so my 5 priorities are the big rocks in my jar. I need to place them first, because if I don't, if I let myself be distracted by all of the pebbles and sand of life, I won't have room for them. If you want to spend your days with purpose, doing what is important to you, it is worth a few minutes of your time, at the beginning of every day, to place your big rocks. Or, if you are not a morning person (me! ), take a few minutes at the end of each day to plan for the next. Schedule those priorities, and write them down, so you have a clear plan for your day. During my planning time, I also write down my pebbles--those things that need to get done, but don't necessarily fit into one of my 5 priorities, and sand--things I would like to do. I number them in the order I'd like to accomplish them, and then fit those things in around my priorities. It's not a schedule, more like a guideline, or suggestion, for my day. For me this means spending time with God, my number one priority, first thing in the morning. Family is my next priority, and in the morning when we're getting ready for the day, and again in the afternoon and evening when everyone returns from school and work, I am here for them. Nothing else is more important during that time. My next priority is rest, and yes, I schedule this in to my day, first, by not overscheduling, and second, by offering myself grace when my long to-do list doesn't quite get done. Self-care, my 4th priority, happens first thing as soon as my boys get on the bus in the morning. If I put it off, it may not happen. And finally, connection is my 5th priority. I am blessed to be a part of an amazing sisterhood, and am so looking forward to going deeper in our relationships going forward. All of the other stuff? The vacuuming, the errand running, the laundry, the volunteering... there will be time for that, but during this stage of my life, I am making sure that my priorities take precedence over everything else. Take a hard look at everything that's being asked of you, both by yourself and by others. If it doesn't fit into or around your priorities--things that are most important to you--then maybe it doesn't need to be done. How about you? If you have a formal list of priorities, does it work for you? If not, how do you spend your days? I have a confession to make. When I have been thinking about this list these past few weeks, God has not entered my head. I have been thinking mostly about my wants and needs. After all, I've been thinking about everyone else's wants and needs for so long. But honestly, my number one need is the saving grace of my Creator, and spending time in God's holy presence has been one of those things that is important, but gets pushed to the end of the to-do list. I'm not proud of it--just telling it like it is. Ugh. How I wish those guys weren't so high on my list. I want my time to be about me. Selfish, I know, but after 14 years of giving everything of myself to my children and my husband, I just want to find myself again, you know? And yet, my family is everything to me. Everything I do is for them. And I can't let other responsibilities encroach on my responsibility to my family. I am so tired, my friends. It has been a long haul getting to this place, and I've lost myself along the way. So rest, renewal, and healing need to be a big part of my days. 4. Taking care of me. Oh yes, I have not been taking care of myself, physically, emotionally, mentally, spiritually, creatively. I've been letting it slide. Mothering in the trenches. Keeping my head above water. Not a whole lot of time for self-care these past years. I have been promising myself this for years. It's time. We were not created to navigate through this life alone, but it is so hard to form relationships as a mom to small children. Even if the opportunities are available, dragging a kid along all the time can really get in the way. I mean seriously, have you ever tried to have lunch with a friend and a toddler? I am looking for deeper connections to my larger community, but only after my top 4 priorities are met. My hope is that thinking about my priorities will make my choices clearer going forward. How about you? What are your top 3 or 5 or 10 priorities? Do you use them to make decisions in your daily life? Let me know in the comments. It all started when I found these cute little snickers bites in my grocery store. They're about half an inch cubes of satisfying snickers goodness. And unwrapped! So they're super easy to snack on. Which may or may not be a good thing in your world. So I had these snickers bites, and I wanted to do something special with them, rather than just eating them, and that's when it occurred to me that snickers and snickerdoodles were meant to be together. Use your favorite snickerdoodle recipe. I used this one from Betty Crocker. You could even use prepared sugar cookie dough if you're pressed for time. When you make your dough balls, stick a mini snickers bite in there and close the dough up around it. Then roll in your cinnamon-sugar mixture, and bake according to the recipe's instructions. My 7 oz bag of snickers bites would have made 4 dozen. If I hadn't eaten about 8 of 'em while I was working. Ahem! I would recommend spraying the pan or using parchment paper because the candies might want to stick. Let the cookies cool for about 2 minutes on the pan (not much longer, or they will stick), then transfer to wax paper or a cooling rack to cool completely. Or eat warm, 'cause that's ooey gooey peanutty chocolatey caramelly goodness right there. You are welcome, my friends. Or, alternately, I apologize for putting that delicious image in your head. I've entered a new phase in my life: stay at home mom to school-aged kids. One would think (I would think) that this would mean I now have virtually unlimited time to do with what I will. Unfortunately, this is not so. I have been amazed and dismayed to learn that while I do have 7 hours a day sans kids, I still do not have enough time to do everything I would like to do. But here's the thing. It is so tempting to say yes to everything, just because I can. After 13 years of having my schedule dictated, at least to some extent, by the whims and moods of young children, to have such an extravagant amount of time to spend according to my whims and moods is almost overwhelming. And it would be so easy to over commit. Ask me how I know. Moms group that meets half an hour away? Yes! Volunteer at the food shelf/the clothing ministry/the church office/the homeless shelter/my kids' school (all in the same week)? Sign me up! Breakfast/lunch/coffee with a friend? Absolutely! In these first few weeks of adjusting to my new normal, I have realized that I need to set priorities--decide what is important to me--and filter all of these opportunities through the lens of my priorities. It's never easy to say no, but setting priorities makes it easier to decide what I can say yes to and what I can decline. Not so different from what all of us should be doing, whether we work full time, part time, or not at all, right? But in the touch and go world of a stay at home mom to small children, number one priority is keeping our heads above water, and everything else, including setting goals and establishing priorities, goes out the window. With school back in session, fall sports are in full swing as well. MC's playing football again this year. He just loves it! His mama holds her breath and cringes whenever her baby comes into contact with some other mama's baby on the field (we've already had injuries on the team, including one boy whose kneecap is shattered--yikes! ), but MC is doing terrific. It's a big time commitment, but the time and cringing is definitely worth the confidence and camaraderie MC is developing on the field. The Honey Badgers are currently undefeated. Bubby is playing soccer for the first time and loves it, which is terrific, because he didn't think he would. He is particularly good on defense, and scored his team's only goal last week, to tie the game. Kind of nice that both our kids are wearing yellow, since they have games on the same day. We can support our kids by wearing their team colors and not have to change. 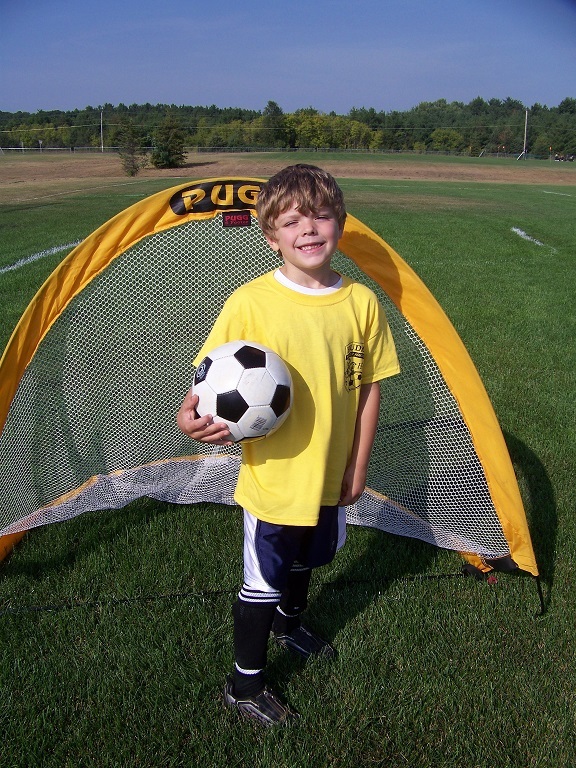 AKD signed up to play soccer this fall, but there weren't enough boys for a U14 travel team. Which is a bummer, but is actually a blessing because his games would have been on Saturdays and Sundays, and who knows how often he would have had to practice. Hubby and I have both commented in recent weeks that we're not sure how we would have managed being in 3 places at once for two months. The other day I was idly wondering if AKD would want to try again next fall. And that's when I realized: next year, he can try out for the high school team. Yikes! High School! I need to start by saying I feel led to share this story with you today, but I'm not sure if my words will do it justice. That's why it's taken me so long to write it--because I wasn't sure I could. I hope that these words on the screen reach their intended target despite my shortcomings. Once upon a time, I met a woman, and she was beautiful and had it all together and was everything I was not. We met through our kids, and only really knew each other to say hello and maybe talk about the weather. I looked at her and, even though I was lonely, disregarded her as a possible friend because she was perfect. And why would she even want to bother with someone as messy and broken as me? We had absolutely nothing in common, except having kids the same age. Fast forward 6 years. Beautiful Perfect Woman's kids and my kids go to the same school, and we are brought together in a group that meets regularly. I don't even know what to call this group. It's a moms group, a book group, a Bible study group...a sisterhood...a lifeline. In any case, over the course of the year I got to know BPW. I mean really know her. And what I found shocked me. BPW is beautiful on the outside, yes, and she has a beautiful heart. BPW is not perfect. In fact, she has a lot of the same shortcomings and insecurities that I have. BPW and I have so much more in common that I ever dreamed possible. And now? I consider her my friend. Six years later than it needed to be. We like to identify our shortcomings, form them into a club, and mentally beat the tar out of ourselves. Over and over and over again. We label ourselves and soon lose our real identity to the beaten and bruised fragility we call 'me'. We compare, we assume, we assess, we measure, and most times walk away shaking our head at how woefully short our 'me' falls when compared to everyone else. How dangerous it is to hold up the intimate knowledge of our imperfections against the outside packaging of others. Let me say that again: "how dangerous it is to hold up the intimate knowledge of our imperfections against the outside packaging of others." Does this sound familiar, friends? How often do we look around and believe that everyone else is so much prettier, more together, better than us? We are looking at the outside, my friends. Of course the people around us are not going to show us their fragility. They don't want us to know they're not perfect. If the story ended here, it would be a nice story, an inspiring story, a story with a lesson, yes? But there's more, and this is the part that really tugs and pulls at my soul. In truth, it makes me want to squirm. A few months ago, BPW and I had a conversation. We had an hour of forced proximity on a bus ride and believe me, we filled it :) But friends, I was shocked anew at what my friend BPW revealed. We got to talking about when we had met 6 years ago, and she told me that at the time she thought I had it all together and was such a great mom and why would I want to bother with her because she was so messy and broken. I have no idea what I possibly did to convey that I had it all together. I could not believe that she had seen me that way. We had each let our assumptions, and not truth, dictate our feelings and actions. This story has a happy ending. BPW and I are friends and sisters in Christ. We each know about each other's shortcomings and love each other anyway. Actually, I think we love each other more because of them. But how many times have I let my assumptions get in the way of something that could have been beautiful? How many times have I compared my intimate knowledge of my brokenness to the outside projected "perfect" image of others? How many times has there not even been a story to end happily? Too many, I'm afraid. My friends, I hope you heard my heart today. I urge you to ground yourself in truth, not assumptions. I pray that all of us will go forward in life loving others, and loving ourselves, just as we are, in our broken, messy, hurting, beautiful, holy places. Oh yes, my friends. It is time for another if-you-can-call-it-a-recipe! This is our family's new favorite way to prepare garlic toast. I was honored to be selected as a Chatterbox for McCormick Grill Mates, which means McCormick sent me several of their new Grill Mates products for me to try and tell y'all about. Isn't that fun? We have loved everything we've tried so far, but this garlic toast is so delicious and so simple to make, I just had to share. Here's what you do. Brush both sides of thick slices of French bread with olive oil. Then sprinkle both sides with McCormick Grill Mates Backyard Brick Oven seasoning. This is a tasty blend of spices, including garlic, black pepper, oregano, basil, and red pepper, perfect for adding bold Italian flavor to chicken, pork, seafood, and even grilled pizza. So you've got your bread with olive oil and seasoning on it. Next, grill, 4-6 inches from heat, until warm and toasty, about 3 minutes per side. That is it! So easy, and so, so yum! Yes, my friends, we are all officially back to school. You may be wondering how it went...especially considering the big transition to kindergarten for our youngest. Well, it all started bright dark and early last Tuesday. Our oldest has a ridiculously early bus time, which means it's still dark out when he leaves the house. Which is why (if I say it enough times, I may be able to convince myself it's true) we have yet to get a first day of school pic for him. Oops. Eighth grade. Can you believe it? Craziness. He coordinated the colors on his braces to his school colors in honor of the first day. As you can see, I went with the rolo pencils. Mmmm...rolos. AKD pointed out that I also could have used mentos. Just, you know, if you don't like rolos or something crazy like that. Later that day, when the sun was up, but the fog had not yet burned away, MC headed off to the first day of 5th grade. You've already seen this picture. Doesn't he just look thrilled? Did you notice the bandage on his right leg? 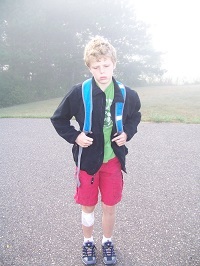 Two weeks before school started, MC fell, hitting his leg on the corner of a wooden step stool, and opening up a V-shaped gash in his leg that required 12 stitches to repair. I am not sure I am ever going to be able to ask this child to change his sheets again. At our school we have a staggered start for kindergartners. When MC started (a lifetime 5 years ago), they had half of the kindergartners start the first day, the other half came the second day, then everybody was there the third day. Now, all of the kindergartners start on the same day, but it's delayed by 3 days. During those 3 days, the teachers meet with each of their students and their parents one on one, so everybody can get to know each other and get comfortable with the classroom. In our case, it worked brilliantly. When Bubby started school on Friday, he went willingly and was all smiles when he returned home. Can I just say? I love our little country school. Each of my boys has just 16 students in his classroom. We know all the teachers and they know us and our boys. It's really like a family. A very large family that has to eat in shifts and spill out into the hallway and outside when we get together for family dinners, but a family none-the-less. The teachers and staff are great, the quality of education is phenomenal, and they genuinely love and care for our kids as if they were their own. Love it! I know y'all are wondering how the mama did with the first day of school. I have been waiting for this day for 14 years: this day when all of my children would be in school full time. It was a long time coming, and I am so thrilled to be entering into this new phase of life without pre school children. I'm ready. It's time. Do I miss holding my babies in my arms? Do I miss nursing them, looking down at their precious faces as they stare adoringly up at mine? Do I miss the awkward toddling of first steps? The priceless expressions as they tried each new mushed up food? Do I miss the lazy days of staying in our pjs and snuggling the day away, just because we can? Do I miss their full heads of crazy curly bozo hair? However, it is good and right for these children to be growing in stature, in independence, in wisdom (um...not sure about the wisdom part...). The ironic truth of motherhood is that, if we're doing it right, we work ourselves right out of a job. Oh, I know they'll always need their mama, but it does my heart good to know that these boys of mine are learning to make their way in the world. In my family, it's kind of a point of honor to give gifts without asking for gift suggestions. The idea is to pay attention to the recipient's interests and style, likes and dislikes, and come up with the perfect gift all on your own. That's why it was such a surprise when Hubby's family started asking me for gift suggestions. Before we were even married. And then, do you know what happened? They started asking me for gift suggestions for other people. Like my husband and kids. Why they didn't ask the husband and kids directly, I don't know, other than the fact that they must think I'm a lot more "together" than I really am. The trouble was, I can't think on the spot like that. I would have ideas in mind, but when someone asked me, I'd go blank. Ugh. Performance anxiety. So I made a running gift list. Whenever I thought of a gift idea for myself or someone else in my family, I would write it down. In one location, instead of on post-it notes and on the backs of receipts all over the house. Now, whenever someone asked me for a gift suggestion, I was prepared. My life was sooooo much easier (because, you know, the asking, it was constant. No, not really). But there was still an itsy bitsy problem. I didn't know which gift suggestions to suggest to which people. It's a lot of pressure, deciding who should give me what. And it doesn't feel right for me to be deciding that, anyway. So I went high tech, and put our family's lists online (I use google sites--it's free and super easy). Now when someone wants to give us a gift, all they have to do is navigate over to our family gift website and pick something. They get good gift suggestions, and I get to be surprised. Sort of. Win. Either way you go with this--pen and paper or electronic, it'll make your life easier. Promise. Remember when I told you about a mass baptism I was witness to way back in 2011? Well, recently I was visiting again with good friends, and we attended the same church again, and it happened to be baptism Sunday again. Just like the first time, it was an incredibly inspiring thing to watch: filled with symbolism, a total body commitment to living as a Christ follower. Tears were streaming down my cheeks as I cheered with these new sisters and brothers, and welcomed them into the family. This time there was something a little different, though. Those who were being baptized wore black shirts with white rectangles on the front. In the white rectangle, each person wrote one word or a short phrase symbolizing what baptism means to them. Lots of people wrote "forgiven" or "loved" or "blessed". I saw a few "child of God," a "Victory!" and even a "Finally!" from an older man. As each person appeared on the big screen for their dunk, I found myself straining to read those words. I wanted to know what they were feeling in that moment. I found myself thinking about what my word would be. If you've been around for a while, you've probably noticed that I struggle with feeling like I'm not enough. Not pretty enough, not outgoing enough, not motivated enough, not thin enough, not smart enough, not loving enough, not energetic enough, even, if you can believe it, not creative enough. I feel like, because I'm so not enough, I don't deserve good things--that I'm not worthy of esteem, not worthy of friendship, not worthy of admiration, not worthy of trust, not worthy of love. But God. Through baptism into the family of Christ, God has called me worthy. Little old not-enough me. And who am I to question the maker of all things? What would your word or phrase be? He makes things using tape. This is a battle carrier airplane. It carries matchbox cars in to battle. In other news, I am running out of tape. He's just thrilled to be starting 5th grade! I don't know about you, but my kids are always hungry. They need snacks. Now. And later. At school. Before and after sports. And you know, I have enough to think about without having to worry about what my kids are snacking on, so I came up with a simple solution. I set up a snack box. This, my friends, is definitely a why did I not think of this before kind of thing. Now, when my kids need a snack, they know exactly where to get one. I control what goes in the box, so I know whatever they choose, it's something I'm OK with them eating. Did you notice that my snack bin contents seem a little Quaker-centric right now? That's because the nice folks over at BzzAgent sent us a variety of Quaker snack items to try. Yum! Love you, BzzAgent--thank you so much! They're packaged individually. Now normally, I would bemoan the unnecessary packaging, but these packs of 4 cookies are perfectly portioned. I don't have to tell the kids how many cookies--the packaging does it for me! Each serving contains 10 grams of whole grains! Ten! Do you know how many grams of whole grains you're supposed to be getting per day? Twenty-five. So one package of cookies provides 40% of your daily whole grain requirement. With just 12 grams of sugar, these cookies contain less sugar than other cookies, and less than many supposedly healthy choices, like granola bars! These cookies taste so good! Love them!